Television czarina Ekta Kapoor opened the gates of her home to welcome all her friends and colleagues from film and television industries for the official naamkaran ceremony of her son Ravie, who was born via surrogacy last month. Ekta Kapoor was clearly on cloud #9. 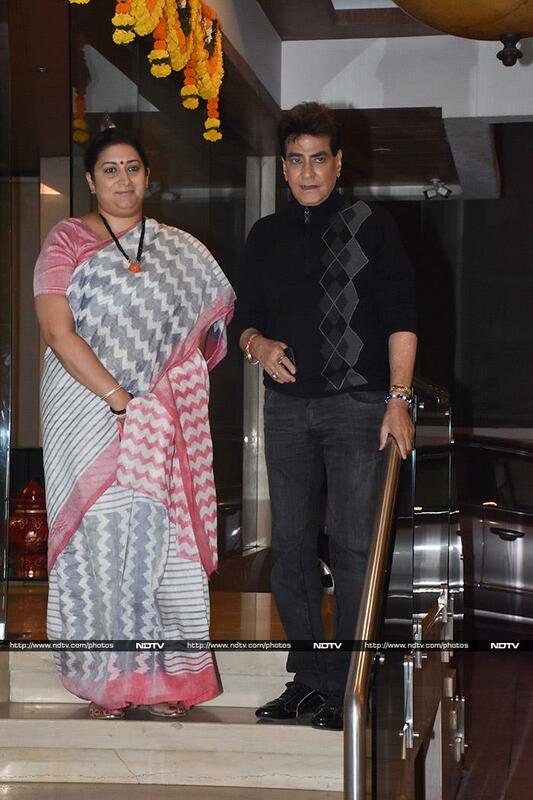 Union minister Smriti Irani, who became a household name as Tulsi from Ekta's show Kyunkii... Saas Bhi Kabhi Bahu Thi, posed with Ekta's father Jeetendra. 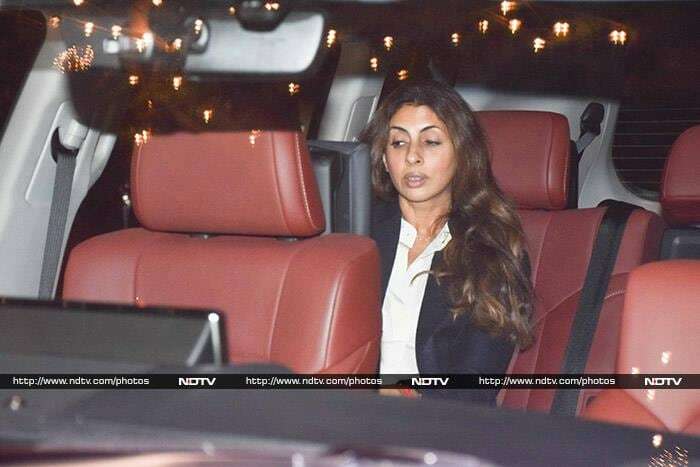 Shweta Bachchan was photographed arriving at Ekta Kapoor's home. Her brother Abhishek Bachchan kept her company. Karan Johar's plus one was his mother Hiroo Johar. Mouni Roy looked stunning in black pleated-hem saree. Sakshi Tanwar, who is best-known for her role in TV show Kahaani Ghar Ghar Kii, looked pretty in white. Surveen Chawla dressed her baby bump in a pretty suit. Actress Karishma Tanna looked chic. Anita Hassanandani arrived with her husband Rohit Reddy. Mona Singh came with gifts, many gifts. Actor Bobby Deol and his wife Tanya were also there. Divyanka Tripathi and Vivek Dahiya were colour coordinated. Urvashi Dholakia opted for a rather formal look. Naagin 3 actress Surbhi Jyoti was all smiles. Salman Khan's sister Alvira was also in attendance. Former actress Urvashi Sharma posed with a smile on her face. Rakshanda Khan arrived with a gift hamper for the baby. Karan Patel attended with wife Ankita Bhargava. Ek Hazaaron Mein Meri Behna Hai actress Krystle D'Souza was also there. Huma Qureshi opted for an all-black look. Laksshya looked cute in jodhpuri pants and kurta for his cousin's event. Ekta's mother Shobha Kapoor was in tow. Ekta's brother Tusshar Kapoor smiled for the shutterbugs. Shamita Shetty stopped to pose outside the venue. Shabir Ahluwalia and Kanchi Kaul looked cute together. Sameer Soni and Neelam Kothari were also there. Preeti Jhangiani arrived with husband Parvin Dabas. Pragya Kapoor was a vision in white. Bigg Boss 11 alumnus Vikas Gupta was all smiles. Mushtaq Sheikh looked bright in red. We also spotted Karuna Dhawan catching up with Hiroo Johar and others. Nandita Mahtani wore a red dress to the ceremony. Farah Khan also got a gift for baby Ravie. Hiten Tejwani brought a bouquet. We also spotted Goldie Behl there.